Between tradition and technicality, Peugeot has reinvented the sommelier's iconic ritual and actions by offering an exclusive collection of excellence wherein each wood corkscrew is presented in a setting that exalts it. Carved in top quality PEFC™ certified beech or walnut woods from sustainably managed French forests, it is robust and easy to use. 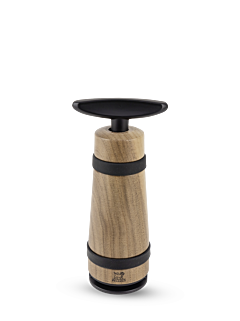 Featuring an endless screw, a patented mechanism and a zamac handle as a subtle touch of modernity, the Peugeot wood corkscrew is an absolute must-have for all tastings, such as the pleasures of everyday life or exceptional events.